The old THQ made many leery of the licensed games market, but Nick Button-Brown wants to change that. Huge IP like Paw Patrol and Adventure Time are just the start for Outright Games. THQ (not to be confused with the new THQ Nordic) for many represents a sordid lesson in what not to do in the games business. The old publisher was too heavily invested in licenses, especially in kids licenses, which it ultimately abandoned in 2012. "We were paying large royalties and licensing fees to get access to those IP, and while some of the early stuff like Finding Nemo, The Incredibles and Cars did well, the later stuff didn’t," former Senior Producer David White told Polygon. 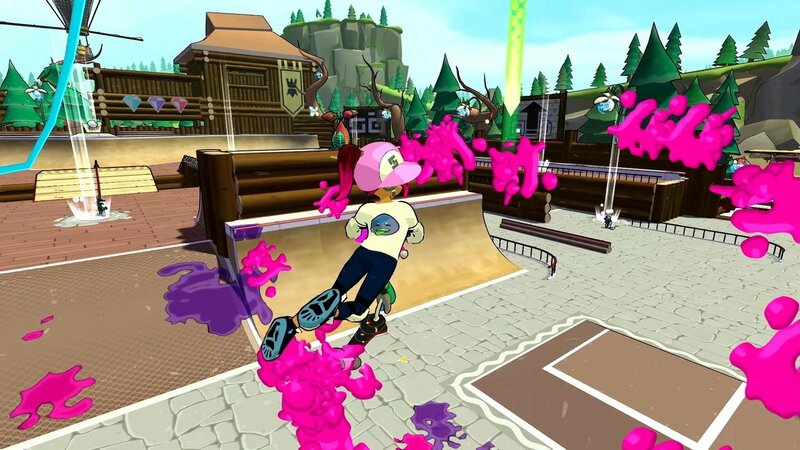 Another former THQ manager lamented questionable business deals: "Near the end, we were still getting screwed for Nickelodeon games, which we hadn’t worked on in years. We still owed a ton of money." The stumbling and ultimate dissolution of THQ was a scary thing to watch. But where THQ failed, London-based Outright Games, a barely two-year-old publisher of family entertainment, believes it can thrive. I sat down with Nick Button-Brown, Chair of the Board of Directors for Outright, during E3 2018 to discuss the company’s unique approach to licensed fare. Outright has already published Ben 10, Hotel Transylvania 3: Monsters Overboard, and most recently Adventure Time: Pirates of the Enchiridion, which was demoed for me during my meeting. The Adventure Time game had an art style that synced up nicely with the Cartoon Network show and reminded me somewhat of Zelda’s cel-shaded look from Wind Waker. 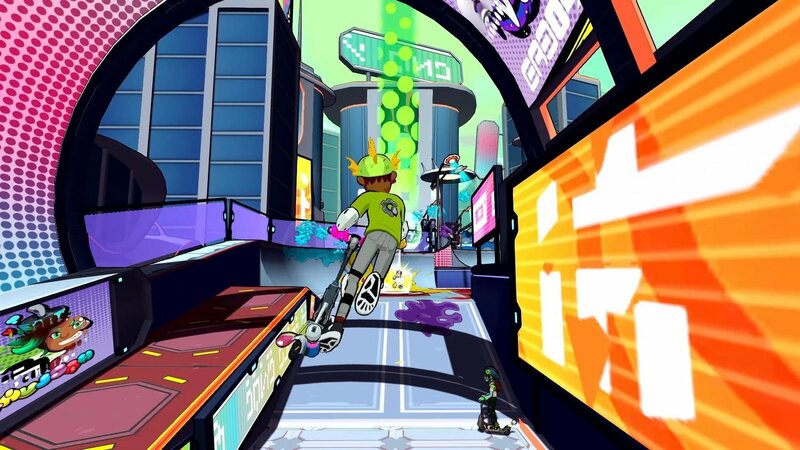 The Outright team also showed me Scoot, which leverages the Crayola license and offers gameplay reminiscent of Jet Set Radio. 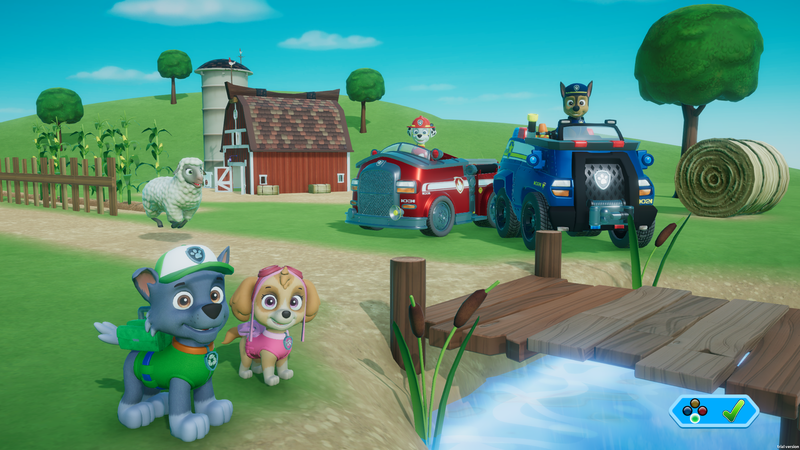 Scoot is set for release in October, as is Paw Patrol: On a Roll, the biggest license Outright has signed to date. Button-Brown also hinted at two more “really big” licenses that Outright is not ready to announce just yet. That said, the publisher does not want to flood the market. If anything, Outright is taking a deliberate and careful approach, one that allows them to foster rich working relationships with developers. “We're not going to do a massive number of titles. It'll be four or five a year. But [we’re] trying to do them with really good developers, and trying to work with those developers over a long period of time,” Button-Brown explained. “So it's not, ‘Sign up the developer for this one game.’ We’re signing up the developer thinking [about] working with them for ten years, and working with the licensor for ten years. Outright Games, like any other publisher, is looking to make money, but Button-Brown genuinely believes that going after the kids market gives developers a chance to make something fun, something that can be played with their own kids. British developer Climax Studios is one such studio, and it turned out that the team was eager to work with Adventure Time. Similar to how Seismic Games has approached licensed IP, the folks at Outright believe that licensed games should add to the world and lore, rather than just use a name or character from that universe without regard. “We do want to do things that are adding to the IP. Adventure Time's story is alongside the story of the series, and the actors are involved, the writers, and it feels like it's referential. It feels like it's complementary. And that's what we want to do, we want to do things that are complementary, with good developers,” Button-Brown continued. So what does the kids market look like? What’s the real opportunity here for Outright? According to the ESA’s Essential Facts report, 34% of almost 2,000 games were rated E for Everyone in 2017. NPD analyst Mat Piscatella told me that last year, “22% of full games software spending went to E-rated games (for 100% of Physical and Digital Full Game sales on Steam, PSN and Xbox for members of the Digital Leader Panel). This has been fairly consistent for the past 4 years (range from 20.6% to 23.3%). However, this does include sports games. Spending has clearly decreased as the number of titles have. It’s a simple matter of publishers allocating their resources to other areas that they feel are likely to be more lucrative. But that could mean the time is right for Outright to strike the anvil. “Right now, WB and Lego owns a very large portion of this market. A little market disruption now and then can be a good thing,” Piscatella added. Button-Brown believes that if the team at Outright hits the right quality bar, the chances of success are pretty high. “There are licensed games out there. They tend not to be very good,” he said bluntly. And of course, one lesson learned from THQ’s failure is to rein in budgets. You don’t need to spend tens of millions of dollars to make something fun. “Our model is about building games that are appropriate. We're not going to sell 10 million units, so let's not spend $40 million on it,” Button-Brown said. 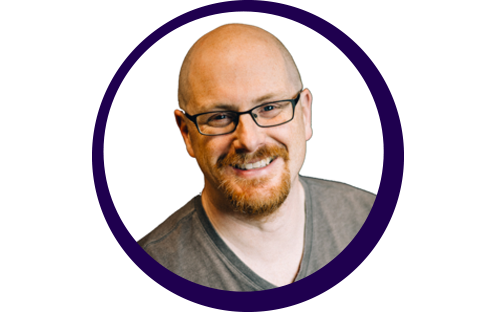 “We can give good, tight experiences from [established] developers. To Piscatella’s point, some of the market has shifted to mobile. I know from first-hand experience as a father of three-year-old boys that young kids gravitate toward smartphones almost instantly. But Outright Games isn’t looking at mobile gaming. Button-Brown sees that market as offering titles with less depth and less social gameplay. Button-Brown used the word “fun” repeatedly throughout our talk. Redundancy aside, there’s a reason for his word choice. A lot of developers appear to get burnt out on making the same kind of serious, post-apocalyptic games that fill the halls of E3 each year. 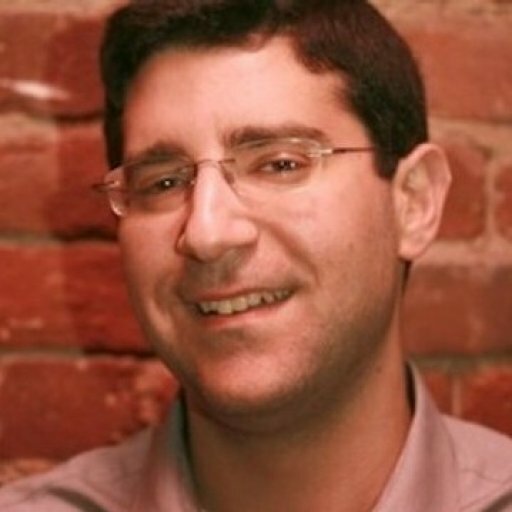 Aside from working as an executive with Sensible Object and an advisor for technology company Improbable, Button-Brown spent many years at Crytek and EA on AAA titles. 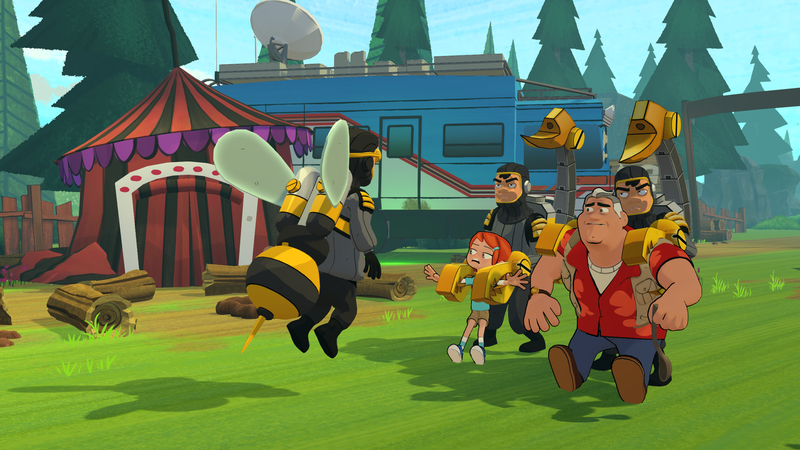 While the rest of the industry doubles down on games-as-a-service, esports, and continues to explore AR/VR and cloud gaming, Button-Brown said the tact for Outright remains fundamentally simple: connect great developers with great licensed IP for kids. One area of the kids market that could be worth exploring is edutainment. Minecraft has shown the educational value of games, even though the title was clearly not designed with academia in mind. “I would like to do more educational stuff. It's one of my passions,” Button-Brown said. “It's why they were included in the BAFTA Games Awards this year, ‘Games Beyond Entertainment.’ The idea of games that are kind of culturally significant and contributing, things that are just beyond fun. I like fun, but you know, we can have a positive impact on the world as well. As we’ve heard from others in interactive entertainment, like VR specialist Baobab, games have the real potential to boost emotional intelligence in children as well. “Just understanding, interpreting emotion, seeing responses,” Button-Brown said. “I did a speech not that long ago about using games to teach critical thinking. One of my side things is that I work with a body that connects governments, education, entertainment, and technology. [We discussed] the idea of actually teaching people critical thinking so that they're questioning the information.